Here at NHTC we have only the BEST! Our wide selection of coaches, we are sure to have one that can help you become the very best! Daina has always had a passion for sport. She has participated in recreational Hockey, Field Hockey and elite level Water Polo. She has also been an instructor for skating and learn to play hockey programs for the past 2 years. Daina currently works as a behavioral interventionist and SEA for children with Autism Spectrum Disorder, and her ambition is to encourage and inspire children to grow through sport. We are excited to add Matt Keith to our line-up of Private Training Coaches. Matt is a Langley native and was drafted 59th overall in the 2001 NHL Entry Draft by the Chicago Blackhawks. He played in his first NHL game for the Blackhawks in early 2004. Matt was traded to the Ducks in December of 2006 and a couple years later was traded to the Islanders. He appeared in 3 games with the Islanders upon the completion of the 2007-08 season. After playing in Germany for a year, Matt returned to North America signining with the Rockford IceHogs of the AHL, scoring 21 goals in 69 games. In 2010 he signed a one-year contract with fellow AHL team, the Abbotsford Heat. Matt moved abroad again, playing short stints in Sweden, Czech Republic, and Austria. In 2014 Matt began playing in the EIHL with the Scottish Braehead Clan (now the Glasgow Clan). He captained the team for 3 seasons before he announced his retirement from professional hockey in 2017. Matt is now back in Langley and is ready to help our local players reach their hockey dreams. Iris played goalie for Surrey Minor Hockey as a youth and all the way through Midget AAA. This past season he played with multiple teams, including the Kirkland Lake Goldminers and the Virden Oil Capitals, finishing off the season with OCN Storm. Iris has coached for Lynden Sammartino, the goalie coach for the Victoria Royals. He has also been working with Lynden as a player for multiple years, learning valuable tools that will aid him in coaching as well. Josh Monk is a proud alumni of the Langley Minor Hockey Association. He played two years of Major Midget with the Valley West Hawks, earning an MML All Star award. Josh then went on to play four years in the BCHL. He was named the 2010 Rookie of the year while playing for the Salmon Arm Silverbacks, also earning BCHL 2nd Team All Star and CJHL All Star honours. 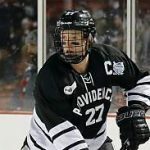 Josh recently completed four years studying and playing at Providence College, bringing home an NCAA National Championship in 2015. As team captain, he helped lead the Friars to win the 2016 Hockey East Championship. Josh has been playing the 2017/18 season as a Defender with the Worcester Railers. He is back in Langley this Spring/Summer and is excited and ready to train our local players at NHTC. From a family spanning 4 generations of Hockey Players, Coach Bob is a True Hockey Guy. His Passion and Knowledge for the game comes through in every Development Session. Currently in his 7th year of coaching, Bob is constantly assessing his own coaching style and philosophy. Bob’s coaching style can best be described as Solid Old School work ethic with new age techniques. To date, Bob has directly contributed to the development of; three (3) NHL Draft Picks, four (4) NCAA Scholarships and ten (10) WHL Players. Bob is an experienced minor and spring hockey coach, who will push the players to their maximum effort. The goal for each player is improvement in a hard working and fun environment. Coach Ryan is the lead instructor and founder of Ryan Carignan Hockey Development. 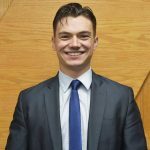 Ryan was also a head coach for Elite Skating for over 4 years and has done private training for BCHL and WHL players. He wrapped up his playing career at Concordia University where he received numerous awards for both the team and the league. While playing for the Thunder, he earned degrees in both Psychology and Teaching. Ryan is now a Grade 5 teacher for the Surrey School District. Ryan is available for Private Training and also leads classes and camps for us throughout the year. Robin played his minor hockey in the Langley Minor Hockey Association then played in the British Columbia Intercollegiate Hockey League for two seasons with Trinity Western University. 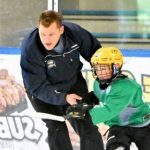 During hockey season he coaches with the Ridge Meadows Minor Hockey Association as a skills coach with their development program and an assistant coach. Robin is also a respected stickhandling coach with the Turcotte Hockey School. Colton is a true home town hockey guy who loves the game. Only 26 years of age, he started playing hockey in Langley 21 years ago, training right here at NHTC (formerly NTR). He was one of the fortunate ones to play 4 years of Junior Hockey for his hometown team the Langley Chiefs. In addition to hockey Colton continued on with his education, playing hockey for 4 years in Fairbanks with the University of Alaska. He, of course, started out as a rookie in year one and finishing in year four as captain of the team. All this while earning a degree in Business. 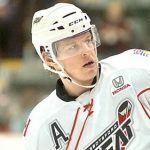 Immediately after graduating university, Colton finshed the season with the AHL’s St John’s Ice Caps. Colton has played the past two seasons as a multi-use forward for the Iowa Wild of the AHL. Colton’s offensive skill was utilized in all situations, including regular shifts, power plays, and penalty kill. Now just one step away from the NHL, Colton returns with his immense enthusiasm for hockey and wants to continue to assist young players develop their game. Colton was introduced to mentoring in Langley with the “Reading with the Chiefs program” and other volunteer activities with the Langley Cheifs. Colton was an active coaching helper with his then coaches Barry Wolff and Harvey Smyl, working with the YOB 1999 Juinior Chiefs program. As a player Chris earned top player award for the BC MML South East Flames. He played on the team that won the BCWG U16 Title. Chris went on to play Junior A with the Langley Hornets, Westside Warriors and the Surrey Eagles. He earned the best all round player award in 2006/2007 and a NCAA scholarship to Utica College, where he played hockey with earning his Bachelors Degree in Business Management. Chris has seven years of experience coaching both on and off the ice at all levels. Chris is available for private lessons and group training at NHTC. Darcy Frederick has had a decorated playing career, including a PIJHL championship and league MVP, to becoming an established coach. Darcy’s teams have always been built on hard work, speed and team play. With 10 years coaching experience ranging from Midget AAA to H2, Darcy’s philosophy is based on strong team play with a heavy focus on fundamental skills and the importance of understanding hockey principles. Darcy believes that your child’s all around game can improve with a combination of intensity, repetition and instant feed back from the coach. 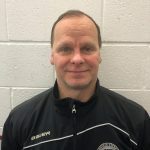 Darcy is the Head Coach of the 2004 AA NWB and coaches for LMHA during the winter. 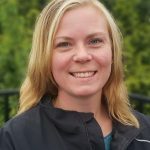 Cindy is a NCCP level 2 trained coach, with twenty three years of coaching experience. She is currently registered with skate Canada, holds a valid first aid certificate. She has taught all levels and disciplines of skating, from pre-school through to starskate and competitive skate, both with children and adults. She has also had the pleasure of working with children with physical disabilities. Her passion with synchro started in 1997 where, as a skater, she travelled to her first National Synchro Championships in Hamilton.